We’re going to take you on an outdoor evening adventure… a fun run with a cork-stopping twist. 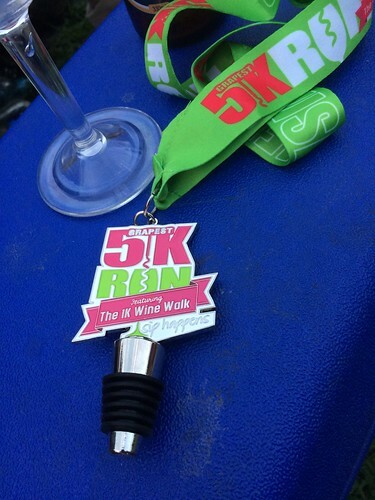 Imagine running through the vineyards and trails of some of the most exquisite wine regions in Australia at dusk. From the outset let’s put it on the table, given the demographics this event has absolutely nailed the ‘Girls weekend away’ market; close to Melbourne but far enough away to be a trip, wine, and a live band – sold! 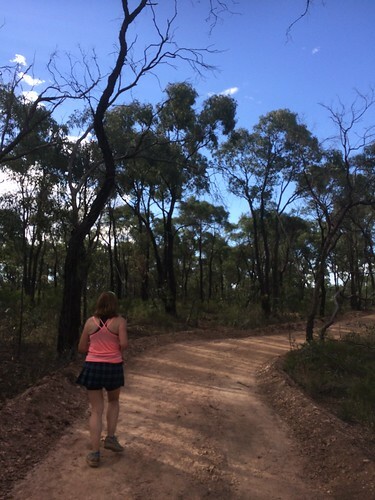 The course itself was mainly on a freshly dozed trail running around the Balgownie Estate, each lap was approx 2.5km which meant two laps for the 5km and four laps for the 10km. Profile wise there was a bit of a climb from the start line to a pleasant descent dropping to the back of the Estate where you began the climb back to the start via the vineyard; the climb wasn’t too ugly and did allow for the flowing down hill segment every lap. I think for the first time ever, when the self seeding was requested there were no takers for the fast selection up toeing the start line. My plan was to run with Tracy and get some kilometers in at the c.6min/km range, which was a good thing as given the track conditions it was tempting to go and run some sub 4min/km pacing and have some fun on the trail. As it turns out the circuit was not 2.5km and this resulted in four laps being just short of 9km. (Also meaning that given the fun trail, fresh legs, and less than 9km you could run very quickly at this event – this may change if the course gets crowded). 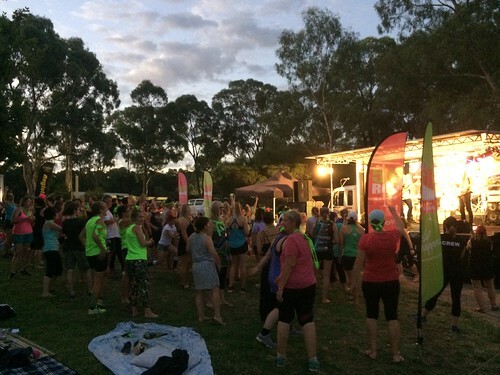 The 1km wine walk, and after run entertainment were excellent. I’d recommend this event to anyone who is looking for a run with a great party atmosphere, where the run is a component of a bigger event. This entry was posted in 2017, outdoors, running. Bookmark the permalink.